DON'T MISS THIS LOVELY RANCH HOME THAT BOASTS SO MANY UPGRADES INCLUDING NEWER REYNOLDS WINDOWS, CARPET, LAMINATE FLOORING AND HOT WATER HEATER. YOU WILL LOVE THE KITCHEN WITH NEWER APPLIANCES, COUNTERTOPS, CABINETS AND BACKSPLASH. SIT OUT ON YOUR DECK IN THE EVENINGS OR MORNING AND ENJOY A GOOD BOOK OR A CUP OF COFFEE. THIS HOME IS CENTRALLY LOCATED IN THE HEART OF SUFFOLK. TAKE ADVANTAGE OF A GROWING AREA WITH ALL THE AMENITIES INCLUDING SHOPPING AND DINING. MINUTES FROM SO MANY CONVENIENCES AND LESS THAN A MILE FROM ROUTE 58. Ready to visit 106 TIMBERNECK? Request a free property tour! Send me more information about the listing at 106 TIMBERNECK, Suffolk, VA 23434, MLS# 10239996. 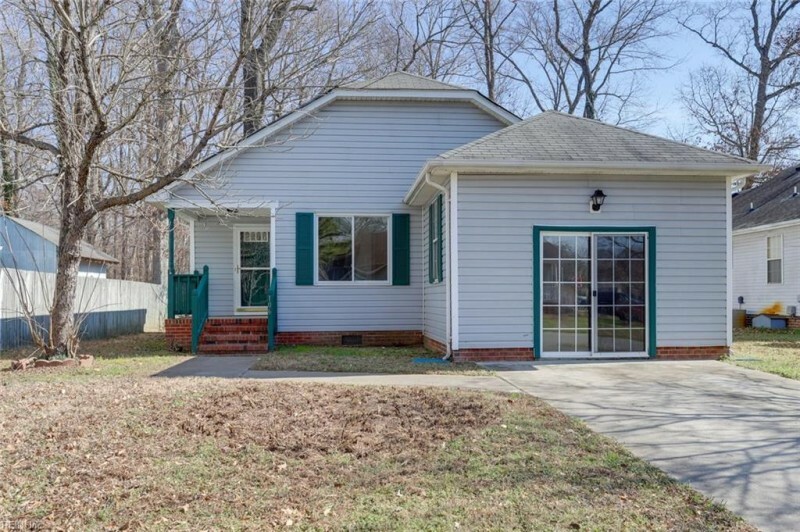 This 3 bedroom, 2 bathroom home located at 106 TIMBERNECK, Suffolk, VA 23434 has approximately 1,499 square feet. It is currently listed for $179,900 and has a price per sqft of $12,001. This home is currently Active under the MLS#: 10239996. This listing is provided by Chorey & Associates Realty LTD.
106 TIMBERNECK Arch, Suffolk was built in 1991. It has 2 Space, Driveway Spc, Street parking.The kitchen includes 220 V Elec, Dishwasher, Dryer Hookup, Elec Range, Washer Hookup. 106 TIMBERNECK is part of the Burnetts Mill neighborhood located in 23434.